I posted last summer about Tilly saving her babysitting money to buy a guitar. 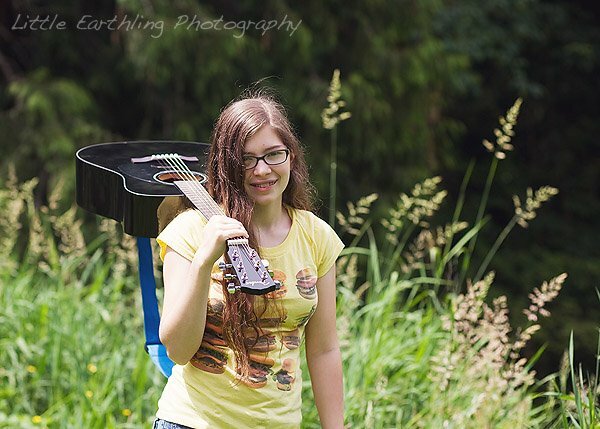 So far she has been dependent on books and YouTube videos to learn the basics of the guitar. This isn’t a totally bad thing. The Beatles were all self-taught after all. I will say though, music lessons are a good thing. A useful thing. And convenient. Especially when they happen in my own home. I can tell you that I was completely satisfied with the lessons. It is easy to log on to the site and schedule your lesson. If we end up doing regular music lessons in the future (and I really hope we do) I will be using LessonFace. I’ve been waiting for this review! Shane would love to learn guitar too. This seems really cool. 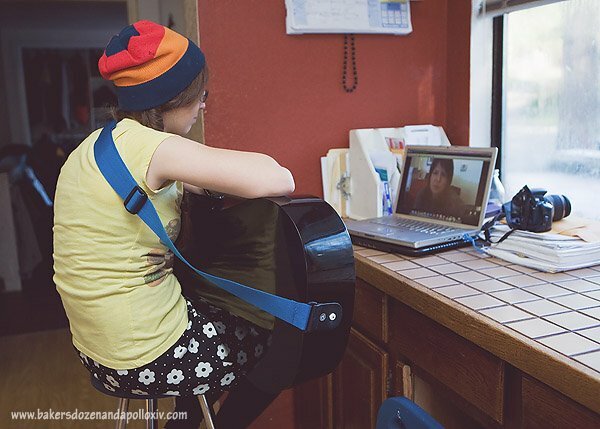 I wonder how learning the guitar translates over the laptop. I personally need someone with me showing me. I wish I could learn to knit this way. I can’t though. It will be great if Tilly can benefit from lessons this way. WOW! I am so excited to learn about this. Thank you! What a fantastic idea! I love it. I wonder how it would work for piano. Tilly seems like she could really do well from this, I know some people have a harder time learning things themselves but Tilly is dedicated it seems. Wow, so convenient. Sometimes I dread my kids doing things because it means yet another thing outside the house. Having the teacher “come to your house” makes it so much easier. This looks like a good idea! Either me or my brother-in-law might end up using this. I would love this! This seems right up my alley! Taylor needs this! Her and Tilly should practice together. wow – what a neat concept! Love this idea! Oh, I LOVE the convenience of doing things through internet, like my workouts on DVD or knitting lessons! How neat is that I have two kids very interested in music lessons but time and location have been an issue. What a neat idea!